"Senator, we run ads" -- "Facebook's fundamental problem? 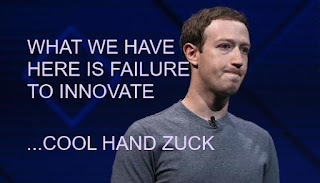 Mark Zuckerberg can't innovate"
As one who has been a voice in the wilderness -- not only suggesting the need for new business models (as do many*), but actually proposing a new approach described as “an innovative and visionary methodology” that "promises to transform business" -- I have been captivated by the Facebook fiasco, and how much of it centers on the ad model as "the original sin of the web." Many have pointed to the ad model as Facebook's fatal flaw, and called for more creative business models. This week's Wired UK opinion piece by James Williams provides a particularly concise and current summary of the issue -- and of the stubborn denial of its importance by "the billionaire CEO of a media platform whose design constraints shape the daily thoughts and actions of over two billion people." “An advertising-supported model is the only rational model” – is this not a remarkable statement coming from a titan of innovation, especially one in an industry where disruption of the status quo is often viewed as inherently valuable? Imagine if an automobile magnate were to declare, “The internal combustion engine is the only rational means of locomotion”. Or if a scientist were to claim, “A p-value of 0.05 or less is the only rational standard for statistical significance”. Or if the lord of a medieval manor were to state, “Serfdom is the only rational model for enabling the masses to subsist”. It’s remarkable how quickly one can lose one’s imagination when power and money are on the line. The obvious spin in these arguments can be easily dispensed with. No one is arguing that the advertising business model inhibits employees’ ability to care about users; rather, the argument is that it creates organizational priorities that incentivize downstream designs which run counter to users’ interests — regardless of how much individual employees might care about users. As W. Edwards Deming said, “A bad system will beat a good person every time”. There may be an important implication lurking in this last point: Zuckerberg seems to be implying that ‘just serving rich people’ would not merely be undesirable in a business sense, but would in some way be unfair. Elsewhere in his interview with Klein, Zuckerberg admits, to his credit, that Facebook now in many ways resembles a government more than a traditional company. Its goal, he says, is to connect everyone in the world. And yet he has resisted the suggestion that this amounts to any sort of monopoly. However, to the extent that his argument about the inevitability of advertising does rest on an appeal to fairness, would it implicitly grant the notion that users have no meaningful alternatives to Facebook? 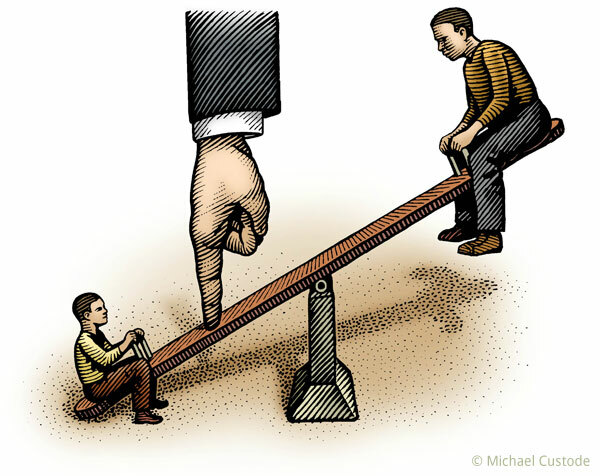 Fairness is a principle of justice, not typically a consideration among competitors in a market setting. For example, if Coca-Cola were to stop selling its products in low- and middle-income countries, we might say that it had reduced consumer choice—but would we say that it was unfair? In any event, in the wider injury to both choice and fairness here exists in the fact that users have no meaningful alternative to a type of advertising that is fundamentally extractive of their attention — a type of advertising which, in the era of digital technology, has transformed into something else: a form of intelligent, adversarial persuasion. The ostrich-headed reluctance of Zuckerberg and others to seriously entertain any alternatives to it serves as one more reason why we ought to seek its urgent disruption. Fairness as "a consideration among competitors in a market setting"
All very well put by Williams, and most notable to me is the very common assumption that "Fairness is...not typically a consideration among competitors in a market setting." That is the central assumption that FairPay challenges. I have pointed out that fairness was actually typical as a "consideration among competitors in a market setting" until the last century or so. Competition in market settings was traditionally a very personal process, with significant elements of one-to-one negotiation in which fairness was a significant factor. We are so accustomed to the impersonal but highly scalable alienation of modern mass-market businesses from their customers that we fail to grasp how new digital technology is enabling us to reverse that. 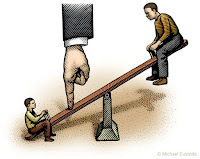 Not to restore old fashioned negotiation at a transaction level (in which businesses are likely to retain an asymmetric AI and big data-fueled advantage over individuals) but at a relationship level (in which the game is inherently more equal, if enough customers insist on that, to make that the best path to sustained profit). That is our deeper failure to innovate. 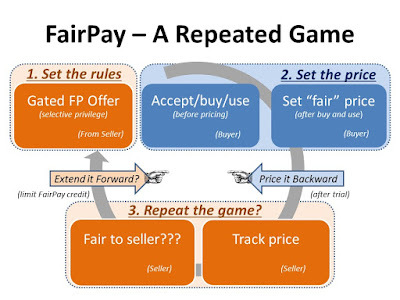 Many business executives have heard about the alternatives I propose, and seen that FairPay's repeated game structure (a direct extension of proven methods) has intuitive appeal, and has support in behavioral economics and in the small successes of baby steps already taken in this direction. But, so far, all who have the resources to test this have fallen back on their assumptions that consumers don't really care about reciprocal fairness, and cannot be motivated to be fair. Like Zuckerberg, they do not even bother to test those assumptions in the face of competing short-term objectives. But as with Zuckerberg as the most exposed offender, the rumble of the once distant drum of market fairness at a one-to-one level is getting louder for all of us. 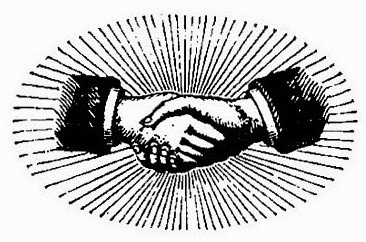 The time to test our assumptions about how we can use the technology of computer-mediated commercial dialog to find new levels of fairness between businesses and individual customers is upon us. FairPay is one promising architecture for finding the way -- if we find that is not quite the right path, we need to seek and test others. But now is time to try to find a fairer one-to-one future. Our welfare and our very freedom now clearly depend on that. 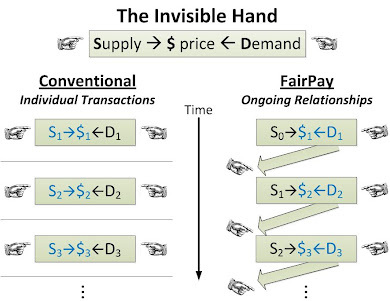 For a full introduction to FairPay see the Overview and the sidebar on How FairPay Works (just to the right, if reading this at FairPayZone.com). There is also a guide to More Details (including links to a video). My article in the Journal of Revenue and Pricing Management, "A Novel Architecture to Monetize Digital Offerings" also provides an overview of FairPay (summarized more briefly in the ESADE Knowledge article "Three building blocks to monetize a digital business," and previously in Harvard Business Review, "When Selling Digital Content, Let the Customer Set the Price."). 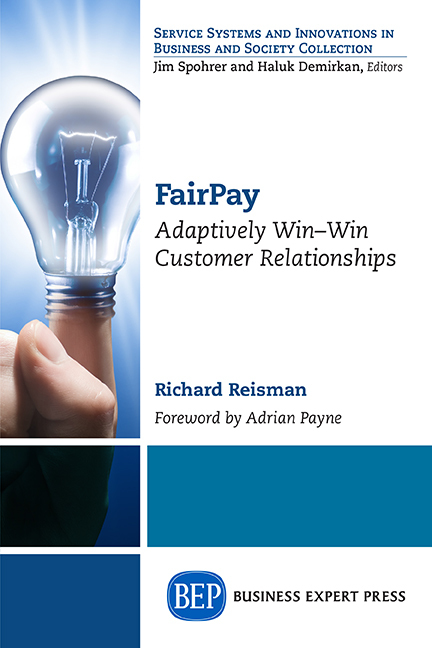 Even better, read my highly praised book: FairPay: Adaptively Win-Win Customer Relationships. What’s Happening i'm new to this, I stumbled upon this I have found It absolutely helpful and it has helped me out loads. I hope to contribute & help other users like its helped me. Good job.